The thing which bothers me though about Linux ok it's free and if you have the skills you can do great things but why isn't it being adopted more for everyday use. Also why don't the developers standardise a distribution for the home user i.e same package manager and packages. As others have said, this is because no two people want the same thing. A lot of people love Ubuntu, which is probably the closest thing to what you describe, but allot of others hate it and refuse to use it. The problem with desktop Linux I think is when the **** hits the fan and something needs to be configured or a driver needs to be added your average user isn't going to want to sit typing commands in a terminal or spending hours finding the solution into a community. I don't see this with most of the modern consumer focused distros out there, Ubuntu and similar work very hard to make all hardware just work out the box with very little fiddling Unlike Windows where you need to get the latest driver from the manufacture before you can even get the device to work. Most of the problems these days are with devices from manufacturers that refuse to play well with Linux, there is not much that Linux can do about these but despite that they do try hard to get things to work. Since using Linux I have had far less problems with drivers then I ever had with Windows, I have never needed to purge and reinstall a driver nor do I even need to mess around with config files anymore. So when you ask for help or guidance... it entirely depends on which Linux communality you are part of. For example, the community on http://www.kubuntuforums.net is very very helpful and friendly, quite often going that extra mile to help people understand the problem and help them learn more. But other communities such as the Gentoo one can be a lot harsher as they expect you to be a more advanced user to begin with. 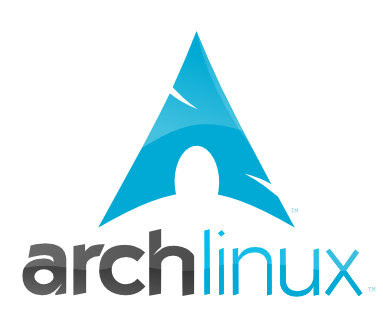 Checkout the Archlinux wiki, it is the best Linux wiki around for finding out how something works generally in a very easy to understand fashion. If you are interested in learning how Linux works, rather then just how to use Linux I highly recomend attempting to install Archlinux in a virtual machine. This will teach you a lot about how other distros do things as it does not hide the technical details from the end user, but also keeps their architecture simple and easy to understand. Even just reading their beginners guide (https://wiki.archlinux.org/index.php/Beginners'_Guide) you will learn allow about how Linux works, which will help you to understand other systems as well. So how did you guys learn Linux? All of my computers now run Linux and only Linux and I am much happier for it, Linux can do everything that a Windows computer can do and more... Even mainstream gaming is coming to Linux thanks to Valve and Steam and Linux has an alternative for most Windows software out there that is often even better then the windows equivalent :) You should focus on what aspects of the system you like, there is no reliance on understanding any one side of Linux before you learn another. Though having a good understanding of the shell is a good place to start. From the phones we use to the websites we frequent to the cars we drive, Linux is running it all. And nothing underscores this fact more than year-over-year demand for Linux talent to support its pervasiveness in every day life.